Avoiding the temptation to iron out your socks can be a serious challenge for some. While it’s common for socks to look shriveled-up, wrinkly, and even fuzzy straight out of the dryer, your first thought shouldn’t be to pull out your iron—here’s why. While many know that most socks have elastic yarn in the cuff or opening of the sock, fewer people know that there’s actually a very thin strand of stretch yarn that’s knitted throughout the entire sock. Found in most socks, including even thinner pairs of dress socks, this stretch yarn is responsible for how secure or snug a sock feels when worn. Now, what does this have to do with ironing? Well, stretch yarn is typically made from thermoplastic filaments with relatively low melting temperatures. Subjecting these yarns to even the lower settings on your iron causes a degradation to their shape and stretch properties. 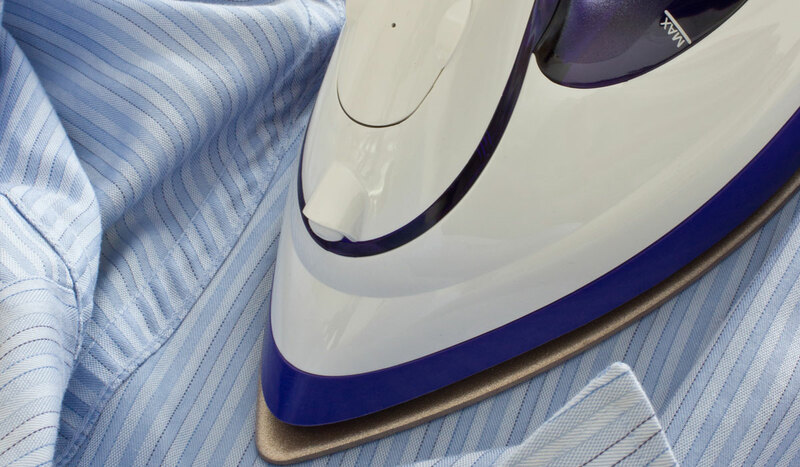 In fact, excessive heat in your washer and dryer will also weaken this plastic over time, but to a much lesser extent than the instant damage a hot iron will do. So, the next time you pick up that iron, do yourself a favor and skip the socks.